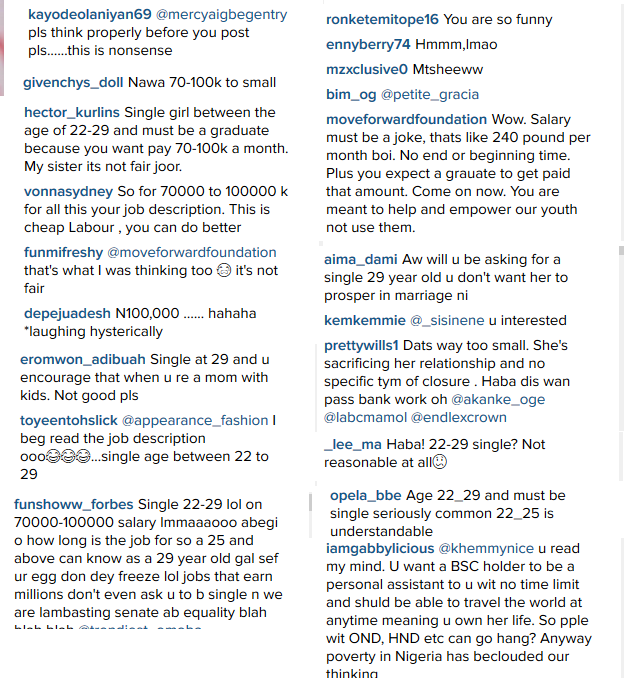 Unlabelled Anything wrong with Mercy Aigbe's conditions for employing a P.A ? Anything wrong with Mercy Aigbe's conditions for employing a P.A ? 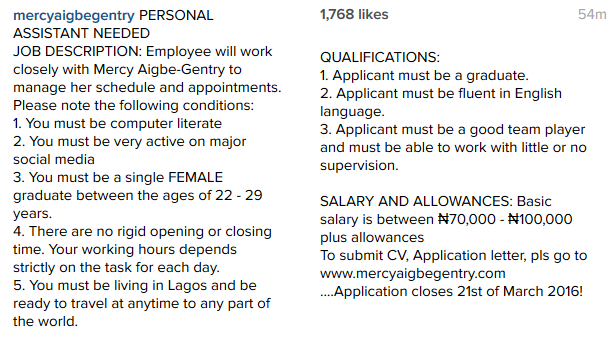 Award winning Nollywood actress posted this requirements for a personal assistant and some and bashed her for it ..They criticized the salary and the fact she wants a single lady while she is happily married.. Anything wrong with it ?